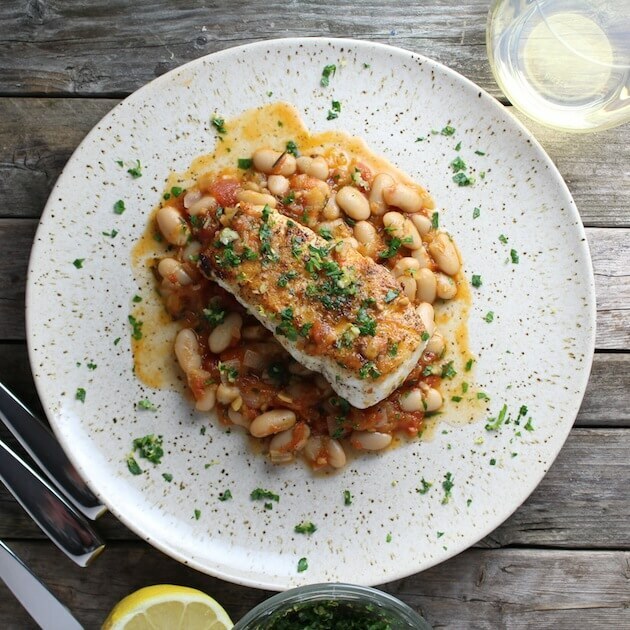 This 20 Healthy Recipes Using Beans post was sponsored by S&W Beans as part of an Influencer Activation for Influence Central and all opinions expressed in my post are my own. I love beans. What’s not to love? They’re an excellent (and inexpensive) source of protein. They’re packed with fiber, complex carbs, antioxidants, vitamins, minerals, iron, potassium, etc.! This little legume is great for your health, and incredibly versatile. Take these 20 healthy recipes using beans, for example. 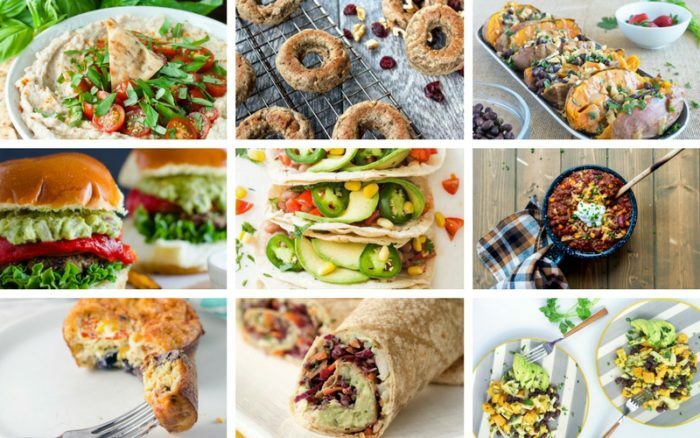 There’s a recipe for every meal of the day, including egg muffins, dips, salads, tacos, soups, burgers, brownies, and donuts. They’re an excellent and easy way of adding nutrients, texture, and flavor to just about any dish. Vegetarians dig them due to their ample amounts of plant-based protein. Chefs dig them because of their versatility. Nutritionists dig them because of their cancer-fighting plant chemicals, nutrient values, and soluble fiber. I dig them because of all of the above. 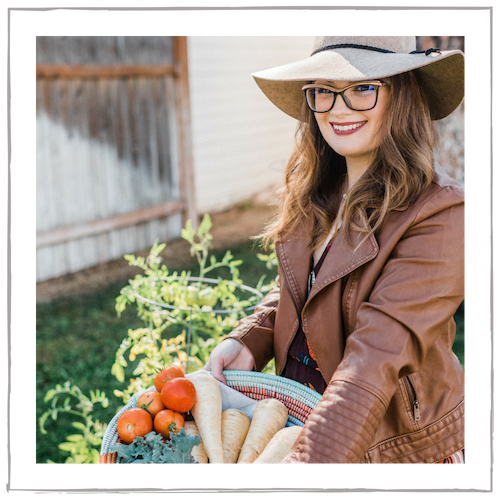 I use beans every single week in recipes—from stuffing peppers to making turkey chili to building vegetarian fajita bowls. But one of my absolute favorite ways to use beans is making crispy spiced chickpeas. They are delicious and can be used for just about anything. They’re especially amazing when used in place of croutons to top salads, sprinkled on soups, wrapped inside burritos, in grain bowls for a little crunch, or eaten as-is for a snack! Pan fry these bad boys in a little olive oil until their outsides are crispy-golden with a soft, creamy interior. 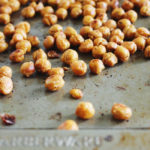 Delicious crispy chickpeas that can be used for topping soups, salads, or snacking on their own! 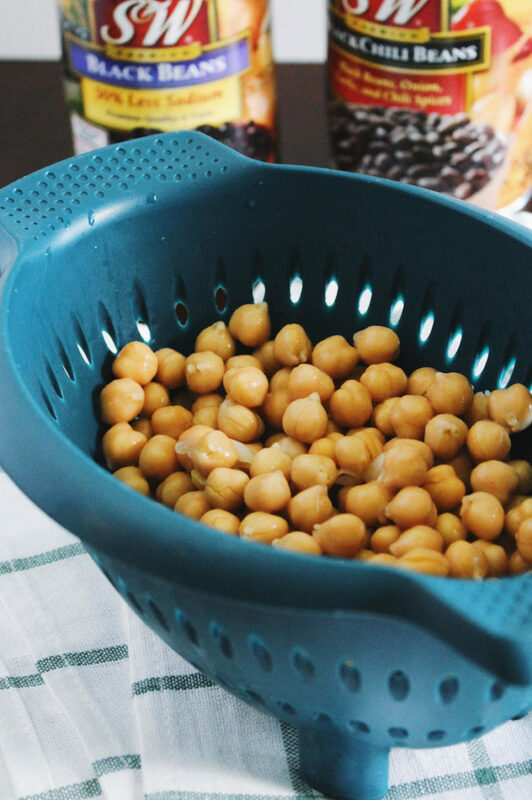 Rinse the chickpeas and drain very well on paper towels. Any water will make the oil splatter when you fry. Heat a pan with the olive oil. When the oil is hot, add the chickpeas and saute, stirring occasionally, until the chickpeas are golden brown and crisp, about 10-15 minutes. Add the salt, pepper, cayenne, cumin, and paprika. Stir til everything is combined and cook another 3-5 minutes until fragrant. Enjoy! Easy, right?! And so, so tasty. Canned beans obviously mark pretty high in convenience. On busy weekdays, there is no way I’m cooking dry beans. My pantry is always stocked with S&W canned beans. They offer a ton of variety, from basic to 50% less sodium to organic to flavored chili beans. I used the organic garbanzo for my crispy spiced chickpea recipe. 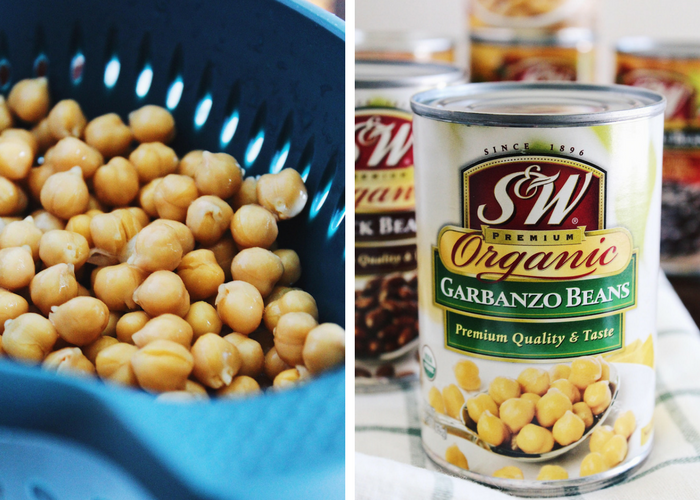 I’ve been making healthy recipes using beans with S&W for a long time. I trust their quality, consistency, and standards—not to mention the fact that they’ve offered those three things for over 120 years! 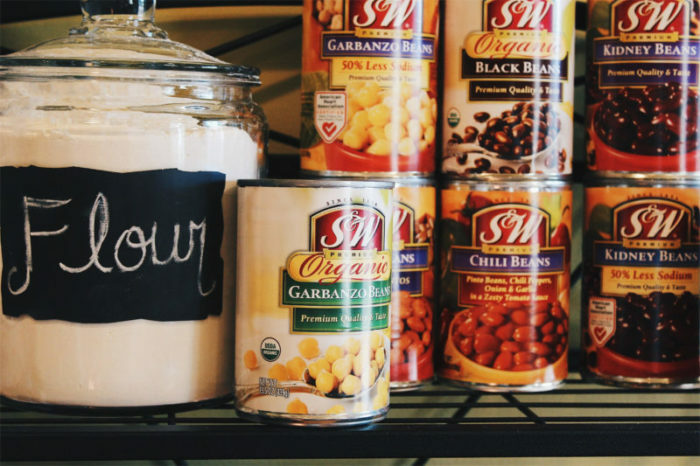 Now through April, S&W is offering $1 off any two cans of S&W beans! Grab your coupon here and be prepared to make one of these 20 delicious, healthy recipes using beans! Enjoy these 20 healthy recipes using beans. From breakfast, to dessert! Serve this stunning pan seared halibut for date night. A fresh gremolata and savory white beans complete this delectable dish. This hearty vegetarian wrap is stuffed with mashed white beans, creamy avocado, veggies, and fresh cilantro. 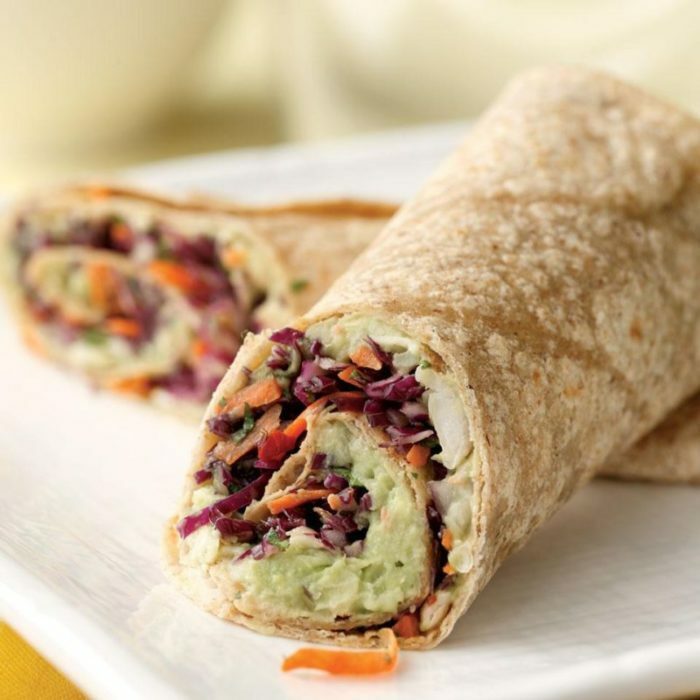 A chipotle slaw adds both heat and tang to this wrap, making it a tasty and innovative lunch sure to fill you up. This salad is as pretty as it is delicious. A lovely light and fresh meal, sweet and tart blood oranges get tossed with fresh sprouts, herbs, a punchy vinaigrette, and a mix of three different beans. Sometimes the most simple meals are the most delicious. 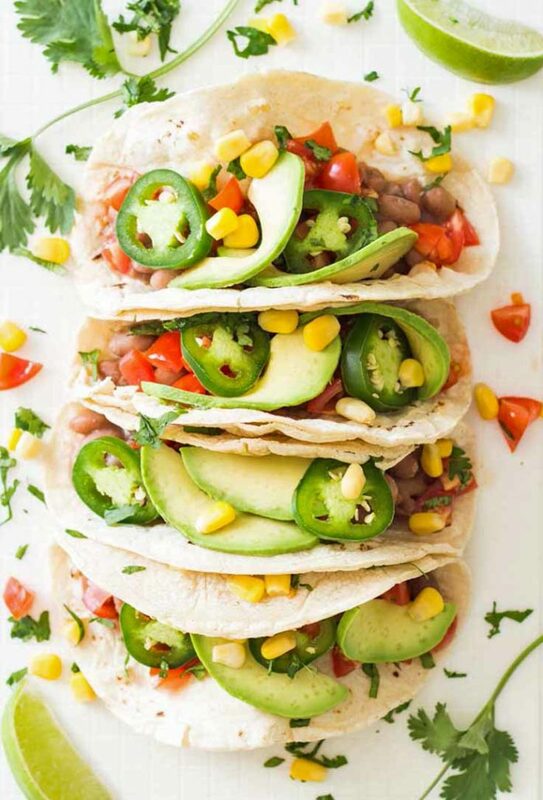 Pinto beans, fresh tomatoes, avocado, sweet corn, and a generous amount of lime make this meal an easy and healthy addition to Taco Tuesday. This aromatic, fiber-packed chili is delicious on hot dogs or straight from the bowl. 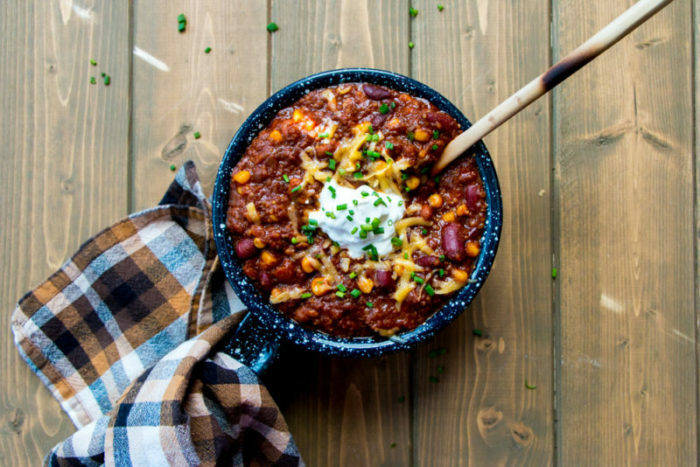 Meg uses dry beans but has instructions for using canned beans at the bottom of her recipe, making this chili a breeze. Our Healthier Build-Your-Own Nachos Bar is a fun and unique way to entertain. 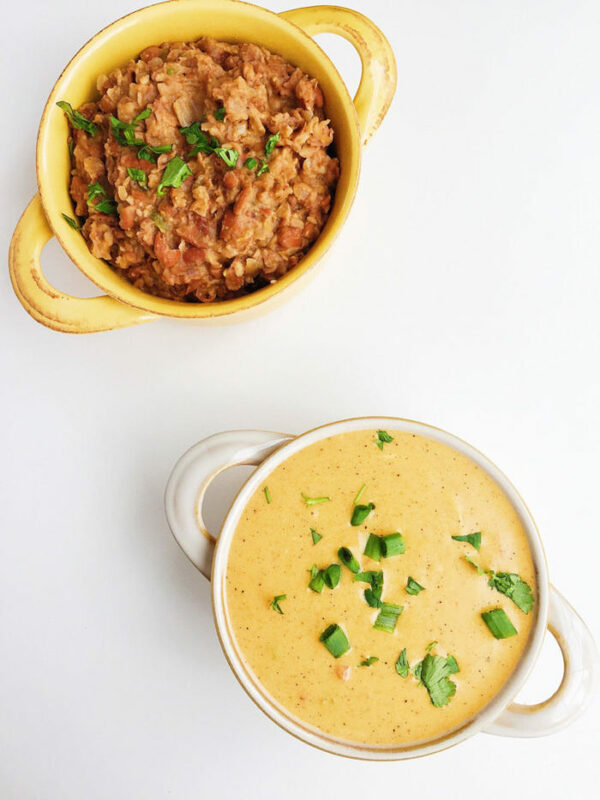 Refried beans get a healthy make-over and canned beans are used for convenience. This salad is like eating the rainbow. 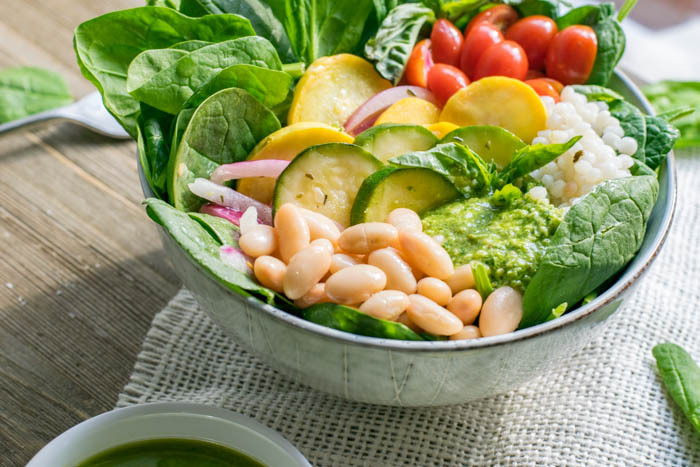 A bright, flavorful pesto serves as the dressing for couscous, lemon-herb marinated zucchini, white beans, and fresh baby greens. Egg muffins are one of the easiest (and most delicious!) make-ahead breakfast meals. 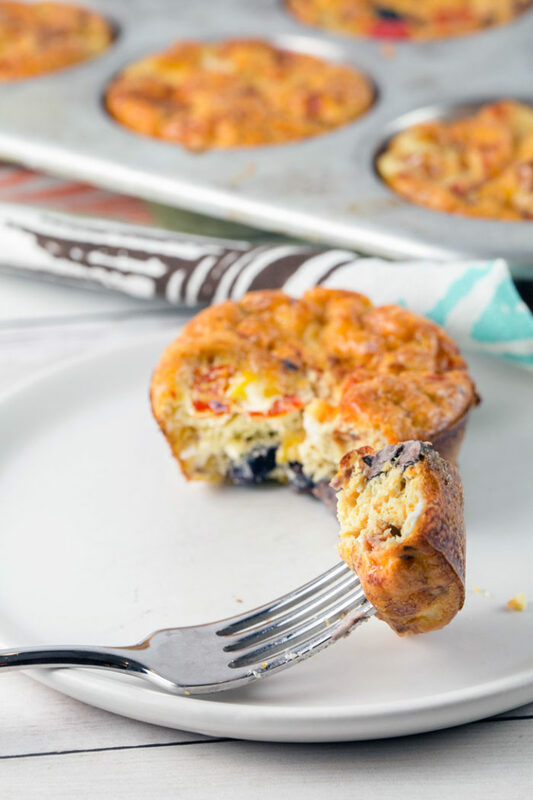 These protein- and fiber-packed egg muffins get a Southwestern kick with salsa, spices, and black beans. 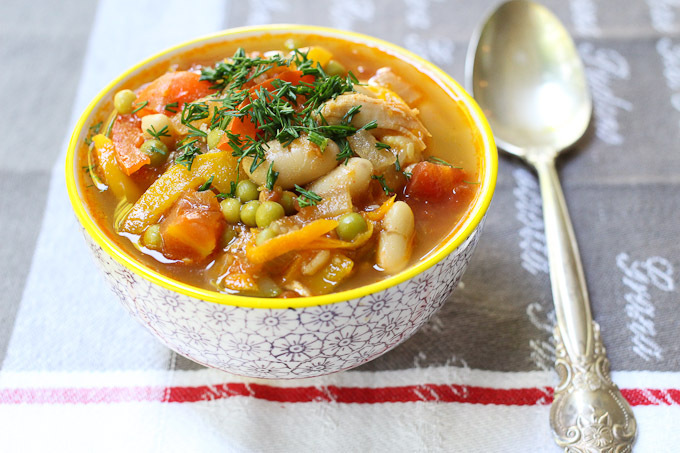 Swap your basic chicken noodle soup for this fiber-packed and nutrient-rich white bean version. This nourishing soup is packed to the brim with veggies. Make a big batch, freeze it, and have it on hand for the rest of winter! 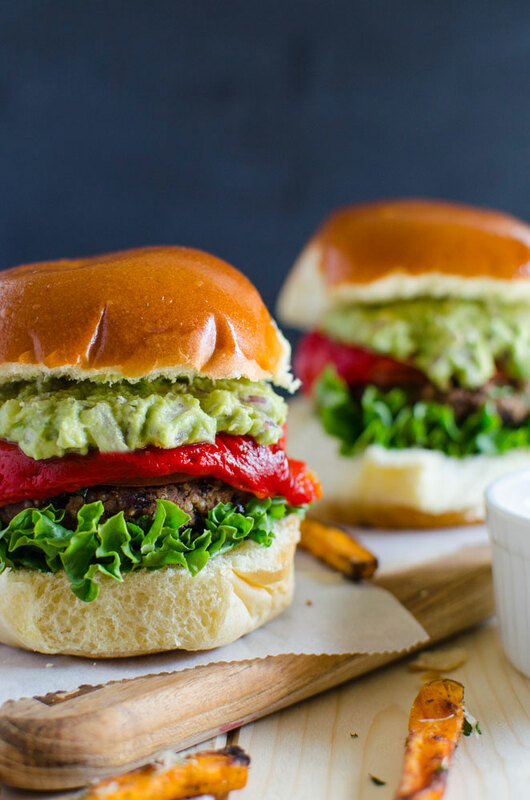 Swap your basic burger for this veggie version, which is a fiber and protein powerhouse thanks to black beans and quinoa. It’s also ready in under 30 minutes and extra delicious topped with roasted red pepper and smashed avocado. 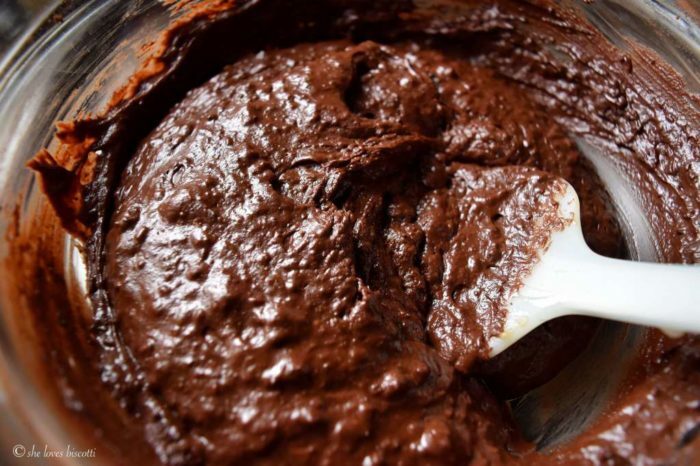 Healthier brownies? Sign us up, please. These gluten-free brownies get a nutrient-kick from sweet potato and black beans, but are still super fudgy and moist. Sounds like a win-win. There’s nothing like a cozy, straight-from-the-oven pot pie, especially one that’s healthier. 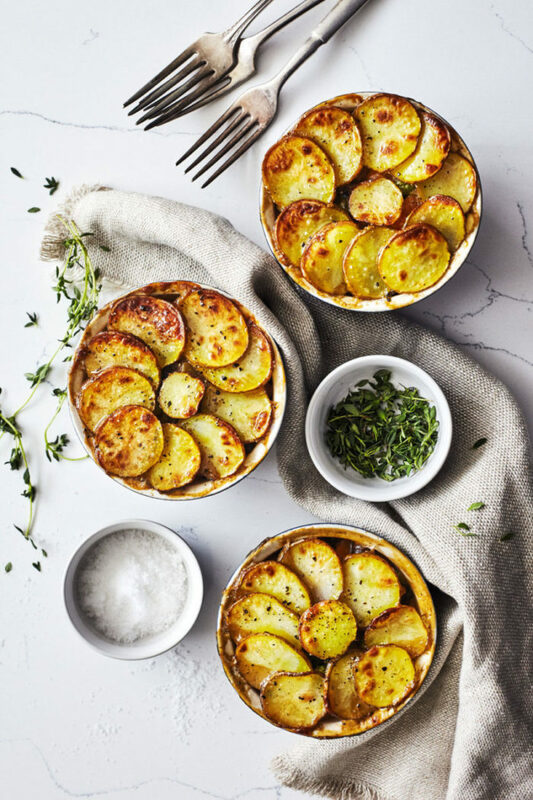 These vegan and gluten-free beauties are stuffed with chickpeas and veggies and topped with crispy-thin potato slices. 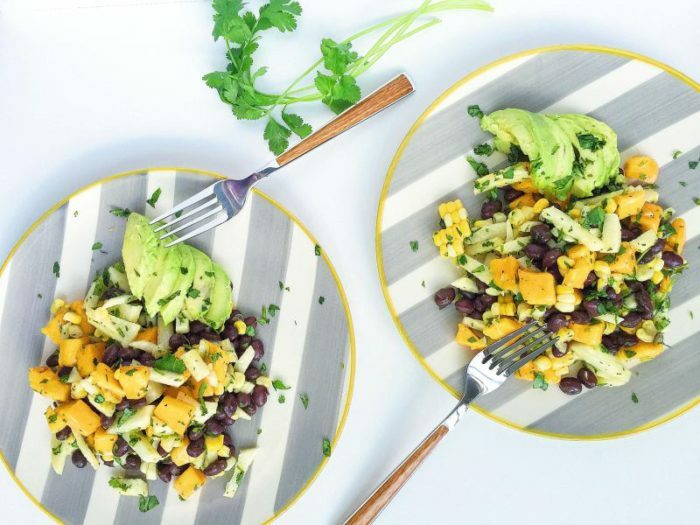 One of our favorite fresh summer sides, this black bean salad gets mixed with crunchy jicama, leftover grilled corn, creamy avocado, and a zesty lime vinaigrette. 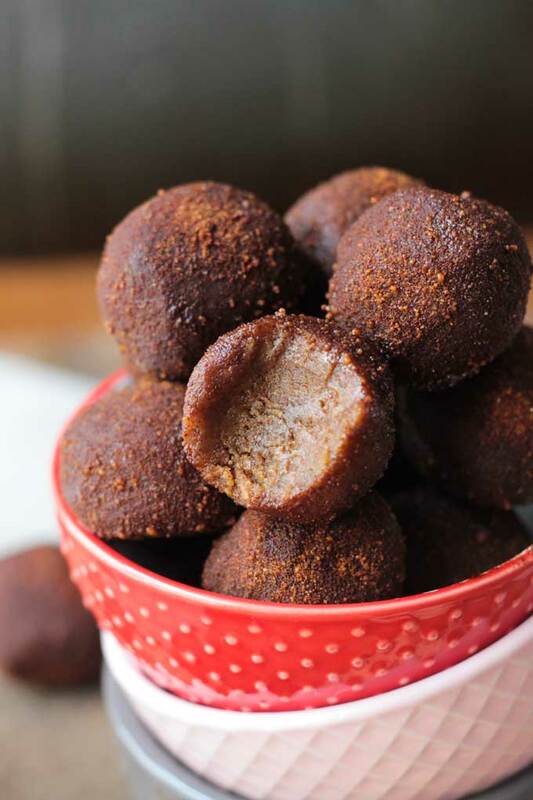 These gluten-free and dairy-free chickpea truffles are “reminiscent of unbaked snickerdoodles.” Yes, please! We love their natural sweetness and creamy texture. These tasty sweet potatoes are an easy and unique way to liven up your weekday dinner routine. 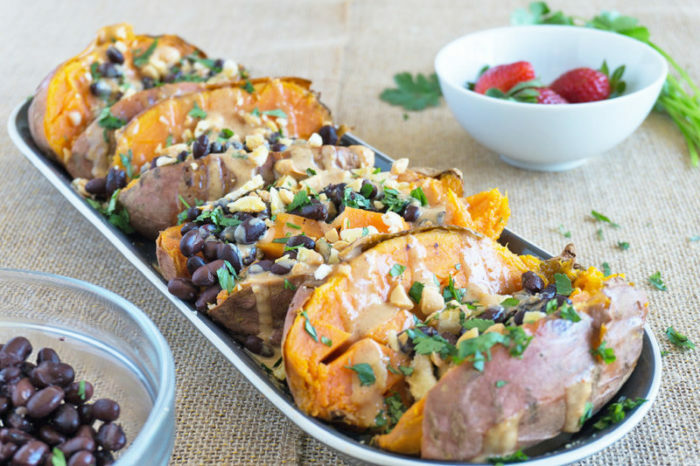 Black bean stuffed sweet potatoes get drizzled with an addictive, creamy (and easy!) peanut sauce. These vegetarian nuggets are healthy, kid-friendly, and totally delicious. And they’re a great way to sneak more veggies on your little one’s plate. A doughnut that’s healthy? Too good to be true? 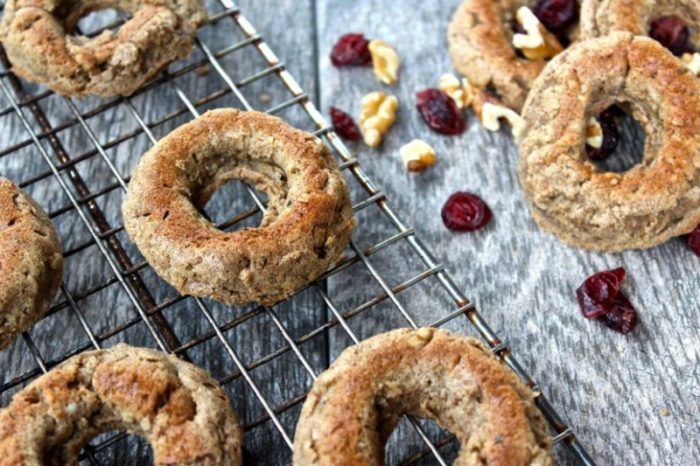 Not with these vegan blondie doughnuts, made with clean and wholesome ingredients. Chickpeas make the list of ingredients alongside applesauce, oats, and cinnamon. It’s not a party without a good dip. Make it a healthy one with this tomato basil version. 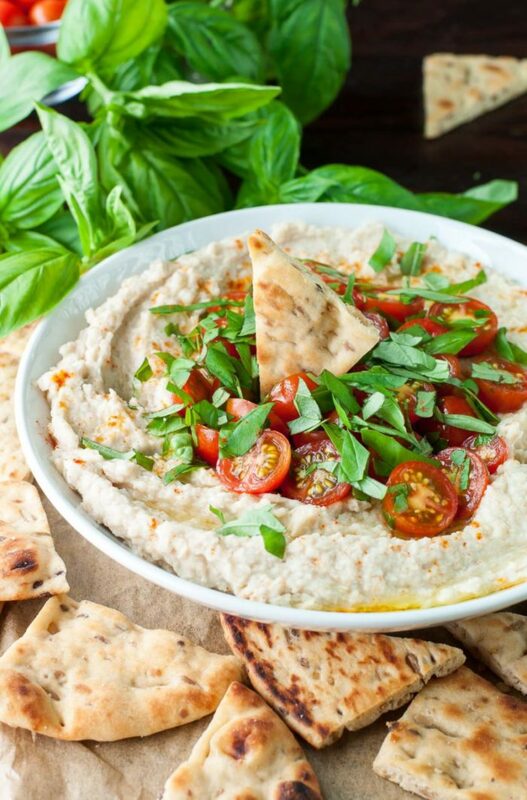 This vegan dip doesn’t include cream or dairy—just cannellini beans, fresh tomatoes, zesty lemon, garlic, lots of herbs, and tons of flavor. One of everyone’s favorite ways to enjoy beans? Hummus. 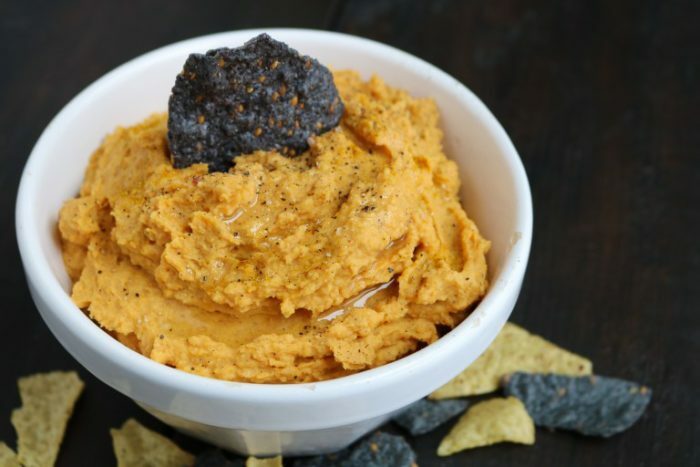 Switch up your hummus routine and create this creamy, seasonal roasted butternut squash version. A cheesecake smoothie would taste even better if you knew that it was good for you, too. 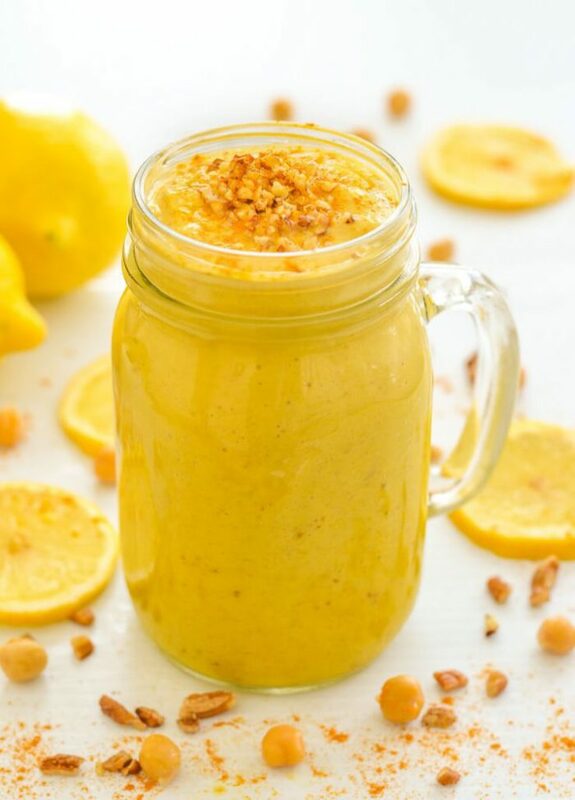 This creamy lemon version is a dessert in disguise. The secret ingredient? Chickpeas. I hope that you’ve enjoyed these 20 healthy recipes using beans! 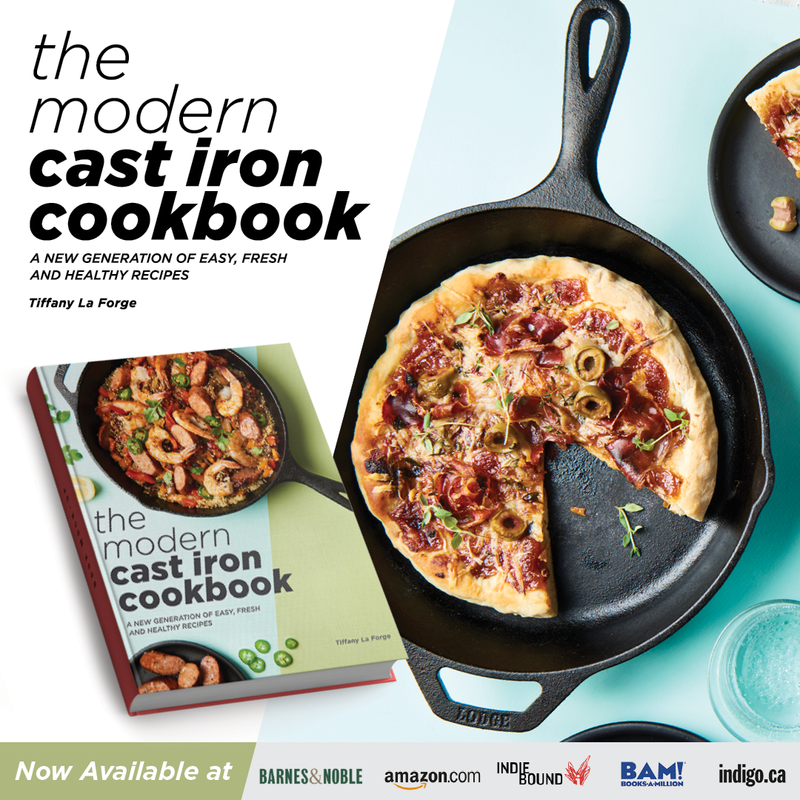 Thank you to my fellow bloggers who contributed their delicious recipes. Be sure to grab your S&W coupon and follow S&W Beans on Instagram, Facebook, Twitter, and Pinterest! 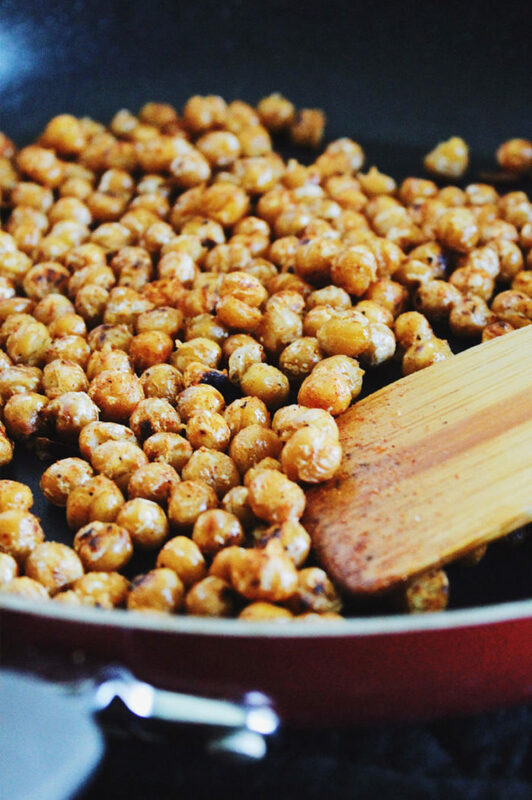 I love roasting or frying chickpeas until they’re crispy but you are totally right-they are dangerously addictive! I’ve eaten a whole can before on accident! And this is a really amazing round up of recipes. 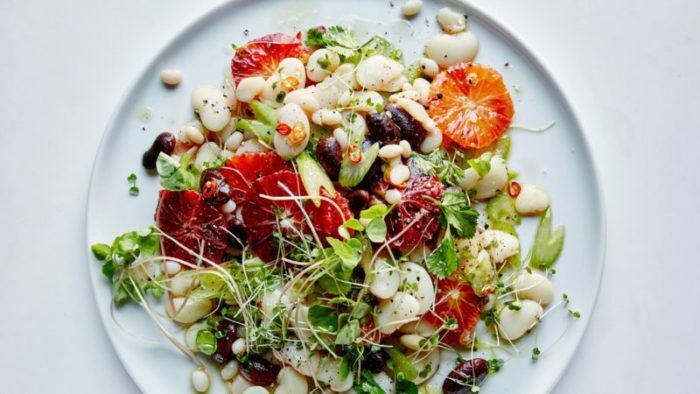 I want to try them all but right now that Blood Orange + Mixed Bean Salad is calling my name! I recently discovered how good marinated beans taste so YUM. And there are always S&W Beans in my pantry-you can’t really argue with 120 years right? My pantry is always packed with cans of beans. They are just so versatile! Thank you for including my Chickpea Truffles! I am also a huge fan of S&W and really won’t bother getting any other brand. Plus I love those chickpeas and these recipes are now a great go to for when I’m not sure what to make!